It is the last day of school for Tihani. The school ended it with an Eid Party and had requested that parents join in the party. 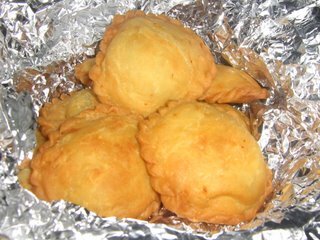 It was a potluck party and I brought Epok-Epok which I ordered from my younger daughter's babysitter. This epok-epok is non spicy so the kids as well as parent will enjoy them. The filling is just fried chopped potatoes and eggs. The epok2 which I brought to kindy. 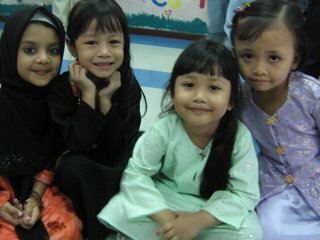 Tihani and frens in their best traditional clothes. 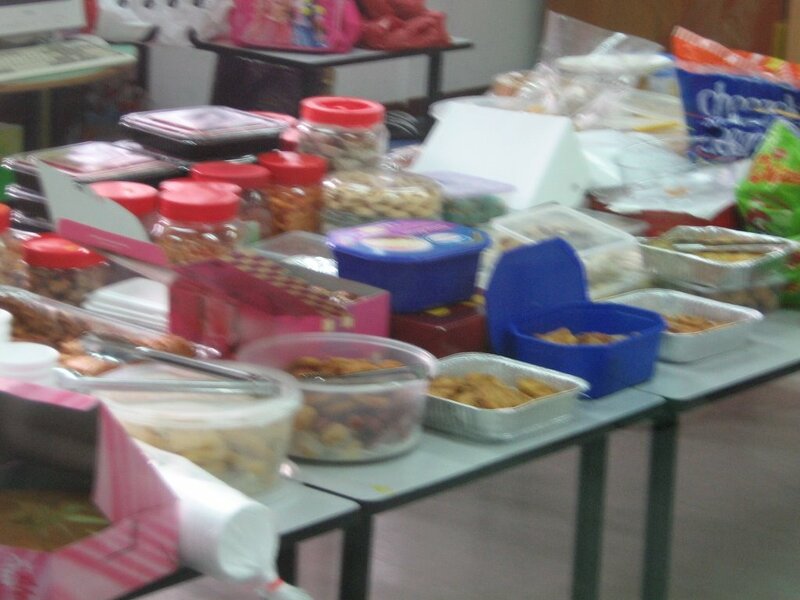 The tables of food contributed by the students' generous parents. Tihani and her Arab & Malay teacher, Teacher Zai. 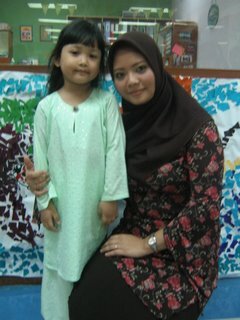 From Tihani and myself to teachers and frens .. "Illalikoq Illalikoq .. Till we meet again .. Jazakallah"